IT service providers like CMIT Solutions – Portland are joining JumpCloud’s Partner Program to help transition their clients to modern IT with a cloud-based directory. 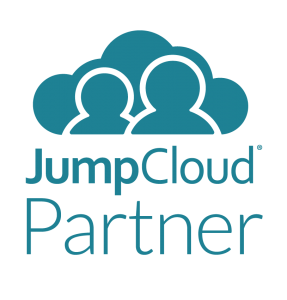 A key part of the value of partnering with JumpCloud is our initiative to highlight our Partners around the world and the services and expertise that make them uniquely qualified to help serve our customers. Ian: CMIT Solutions is actually the fastest growing franchised full-service IT support and consultancy business in North America, and has been around for 20 years or more. I actually opened the Portland office for CMIT in May of 2018, but I’m just one of 220 CMIT businesses across the country. The strength of CMIT, in terms of an organization, is across those 220 franchised operations, we have over 800 technical staff. So, with almost every technology problem we find, we have very deep bench strength for understanding what the problem is and how to fix it. Ian: We focus on small-to-medium businesses (SMBs) that have anywhere between five and 100 employees, and we tend to offer three major areas of expertise. One is basic support for their network implementation, meaning we look after their servers, their storage, and their desktop devices. We make sure that any hardware or software problems that occur with those devices are minimal and responded to quickly so that the business owner isn’t distracted by worrying about their IT infrastructure. The second thing is we help with the increasing security demands in today’s world, and make sure that malware and ransomware doesn’t impact our customers’ businesses. In terms of data security and data privacy, they need to be compliant with various requirements. So for medical businesses, that’s HIPAA, while anybody that does business with Europe, that’s GDPR. Basically, from a hardware and software point of view, they need to have the right security infrastructure to ensure they’re compliant with whatever regulations they have to deal with. The third aspect, which is an increasing part of our business, is giving customers advice on how to move their infrastructure forward towards more of a cloud-centric model. Lots of new businesses formed in the last two or three years have bypassed the historical, Microsoft-centric, Active Directory model, and have gone straight to the cloud-centric model. While they’re able to take advantage of the economics and the capabilities of these cloud services, often using Google, cloud storage services like Box, Dropbox, etc., they’re sometimes missing the glue that can keep it all together. That’s why we’ve become fans of JumpCloud. We see JumpCloud’s cloud directory as a way for our customers to take advantage of the kinds of services that companies in the past have been able to take advantage of, but to be able to do it in a cloud-centric model with the nimbleness and the cost-effectiveness of the cloud. Clients can now have a directory of their devices, their uses, their applications, with single sign-on. To us what’s also really important is they can have policies that can be implemented centrally. This provides the control that they need to meet HIPAA requirements or GDPR requirements. So, for cloud-centric customers, JumpCloud allows us to be in better control of their infrastructure and help with their security and data privacy obligations for compliance. Why do you think your customers choose to work with you? Ian: I think they choose to work with us for two or three reasons. The first is that we are flexible in terms of absorbing multiple technologies. Many of the legacy, IT service providers that we compete with are married to the historical server and Microsoft ecosystem, and they aren’t particularly comfortable working in the world of macOS, Linux, or some of the more modern, cloud-based environments. And so to us, it’s the ability to be agnostic in terms of operating systems and helping people make good decisions for how to build a modern infrastructure. Their infrastructure should still provide them with good security and performance, of course, but do so in a way that is generally cost effective and agile—which is what most people are looking for today. Ian: We offer managed services where we install JumpCloud as a foundation for policy management and identity management, and on top of that, we layer in a piece of our own software called CMIT Marathon. It allows us to remotely-manage clients’ desktops and servers, monitoring performance and remediating problems, often before clients are aware of them. It can include remote login, anti-virus as well as a pricing structure that goes up to an all-inclusive monthly price for unlimited support. We then also provide consultancy in terms of cloud services and help people build migration plans towards a cloud-centric infrastructure model, no matter if they’re moving from a server-oriented environment, or straight into a cloud-based infrastructure. So again, it all relates back to those three things I spoke about earlier: managing the infrastructure well, managing compliance well, and looking into how to better integrate cloud services into their environment. Ian: First of all, to make sure the most basic aspect of password management is implemented through an appropriate policy, so that the passwords are individual, changed regularly, and compliant with the company-wide structure. It’s important that policies aren’t limited to just to their desktop, but apply instead to the whole infrastructure. People often think that having a single password shared by everybody in the company for WiFi is a perfectly acceptable thing, for instance, but in my mind, it’s completely unacceptable. If someone were to leave the company and know that password, they could be sitting outside the office, log into the WiFi, and potentially wreak havoc within the systems that are inside the office. So, services like RADIUS where passwords are individual for even WiFi are the kind of thing which I think people should be doing. 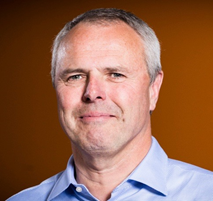 Ian: I think that the exciting thing about the cloud is that the ecosystem has got some very strong competitors who are all investing heavily in making sure that their ecosystem has the right security in place, and is genuinely user-friendly online. But because of that, it can be a very confusing mess of competing products, and it’s very possible therefore to allow different people within a company’s ecosystem to choose products that they happen to prefer. For that individual, it’s great, but from a company point of view, it can create a mess. So, for example, we’ve seen multiple customers come to us who are using as many as nine storage devices, such as servers and desktops. They also might be using a mixture of storage services, such as Dropbox, Box, Google Drive, NAS devices, or whatever. So, the plethora of choices needs some structure and some discipline to ensure important files are being stored somewhere safe. You need IT control and you need a little bit of IT policy in order to make sure the company as a whole is actually efficient and secure. That means guidance, documents, strategies, and some real thought in order to choose the best combination of cloud services that suits the company’s mission. Ian: We were looking to solve a particular gap in the range of cloud services that we were proposing for a client. We knew the client had already selected Google for email, and wanted to start putting in place an in-house NAS device. However, they also wanted to use cloud storage for collaboration. So we were starting to assemble what we thought were the best-in-class products to solve that particular set of requirements, but in looking at it, we realized there was a hole in the middle. How does a company actually meet some of the security obligations that they’re asked to undertake by their clients? They were starting to see legal terms from their customers which were GDPR-orientated, and needed to put in place stronger password protections with the ability for their users to control and enforce how frequently passwords are changed. They wanted all of these cloud services to be accessible and as easy as possible for their employees to use, which meant we also wanted to have a single sign-on (SSO) solution. Actually, this is an example of the kind of client I spoke of earlier that had a single WiFi password for everybody, and because they had a regular group of contractors coming through, that meant a growing group of people knew their WiFi password who weren’t a part of their IT team. So, we wanted to find a solution that solved that particular central policy dilemma for this particular account—and we found JumpCloud. It actually solved all of the problems we wanted solutions for, and to our delight, we found it really worked. Once we’d gone through simple training, the ability to actually do exactly what we wanted and integrate with a wide variety of applications, single sign-on, etc. all worked without a hitch. So that’s part of the reason JumpCloud has become a regular part of the things that we propose to our clients, and why we’ve become a JumpCloud fan. If you’re interested in hearing more about CMIT Solutions, check out their website for further details about their managed services, recovery, and cyber security business. If you’d like to try JumpCloud for yourself, go right ahead and sign up. Your first 10 users are free, so you can see how Directory-as-a-Service works firsthand. MSPs looking to join the Partner Program can apply here.